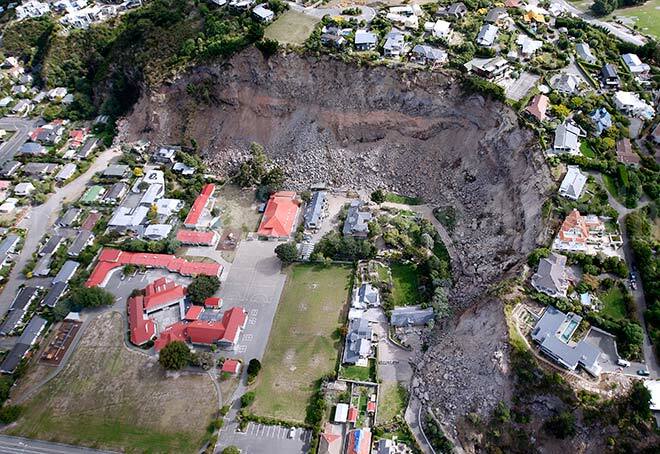 This aerial photograph taken five days after the 22 February 2011 earthquake shows the extent of the rock falls in Redcliffs. There were fatalities when the rocks hit people below, and the houses at the top of the hill suffered major damage and most had to be abandoned. Redcliffs School is in the centre of the photo.